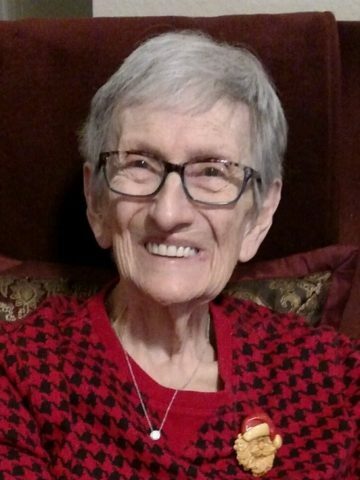 Mrs. Mildred Louise Callis Hooks age 89, of Hendersonville, TN, passed away on Tuesday, May 15, 2018. Mrs. Hooks was born in Nashville, TN, on July 19, 1928, the daughter of the late Millard Callis and Willie Bradshaw Callis. She retired from Ambrose Printing after thirty years of service. Mrs. Hooks enjoyed fishing, sewing, crafts, needle point, gardening, and humming birds. She will be remembered the most by her love and caring heart toward everyone. In addition to her parents, Mrs. Hooks was preceded in death by her husband, Darrell Hooks; two sons, Darrell and Steve Hooks; and a grandson, Jerry Shadix, Jr. Survivors include her two daughters and sons-in-law, Brenda and Jerry “Buddy” Shadix and Patricia and Lewis Fortune; four grandchildren, Brandon Fortune, Bradley Fortune, Angie Shadix Corbin, and Starr Pinkleton; five great-grandchildren, Parker Fortune, Lily Fortune, McKinli Fortune, Garrett Fortune, and Jera Corbin; and a sister, Elizabeth McClure. A Celebration of Life will be held Saturday, May 19, 2018, at 2:00 P.M., Hendersonville Funeral Home. Interment will follow at Hendersonville Memory Gardens. Gathering of Family & Friends will be held Friday from 4:00 P.M. until 8:00 P.M. and Saturday one hour prior to service at Hendersonville Funeral Home. Visit the online obituary: www.hendersonvillefh.com.